Whether you grow your own vegetables or shop the produce aisle in your grocery store, garden-fresh vegetables add beautiful color and great taste to the table. cattle ranch in Oklahoma and has written two best-selling cookbooks. She says she loves to find new ways to put more delicious veggies on her family's table. literally have vegetables coming out my ears. Fortunately, I've got four kids who love to pick just about anything I plant, so everything gets harvested on time - if not a little earlier." "When I bring those veggies into my kitchen, nothing shows off their fresh flavor like a little bit of butter - or, even better, Land O Lakes® Butter with Olive Oil & Sea Salt. 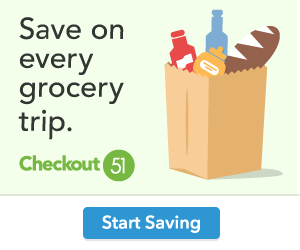 I love this product because it comes in pre-measured, one-quarter cup sticks of butter. That makes prep easier, because so many of my recipes, like my Pasta Primavera, call for just 2 to 4 tablespoons of butter." If you don't have a vegetable garden or can't always get fresh produce, don't despair. Flash-frozen vegetables retain much of their flavor and nutrient value. Thaw vegetables before using them in these recipes, or just heat them through and toss with high-quality butter for an easy side dish. When they taste this good, kids will be saying, "More veggies, please!" 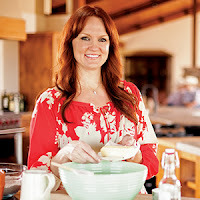 Ree Drummond has partnered with Land O'Lakes and blogs at www.ThePioneerWoman.com. 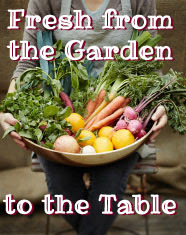 Find more garden-fresh recipes at www.LandOLakes.com. 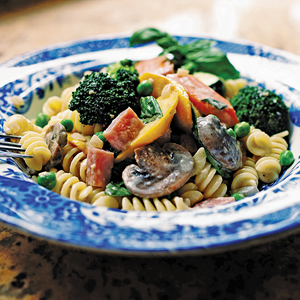 Pasta Primavera made with carrots, broccoli, zucchini, summer squash, white mushrooms, frozen peas, ham, basil and pasta. Heat 2 tablespoons butter in a large skillet over medium-high heat. Add carrots and cook for 1 minute, then add broccoli and cook for an additional minute. Remove from skillet and set aside. Add 1 additional tablespoon butter to skillet and allow it to melt. Add zucchini, squash, and mushrooms, and cook for 3 to 4 minutes, or until vegetables are starting to soften. Remove from skillet and add to other vegetables. Set aside. Add remaining 1 tablespoon butter to the skillet and allow it to melt. Add onions and garlic to skillet and cook for 2 minutes, or until starting to turn translucent. Pour in wine and chicken broth and stir, scraping bottom of pan to loosen flavorful bits. Cook liquid for 3 to 4 minutes, allowing it to reduce by about half. Stir in cream and half-and-half, then add Parmesan and allow cheese to melt. Add black pepper to taste. Let sauce thicken for about 2 to 3 minutes. Add all vegetables to sauce, then add frozen peas, diced ham and chopped basil. Stir to combine everything. If sauce needs a little more liquid, splash in a small amount of broth as needed. 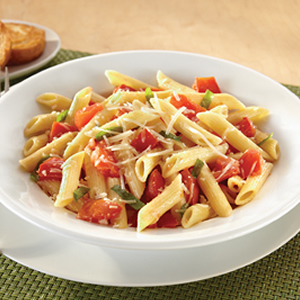 Place cooked pasta in a large serving bowl. Pour all contents of skillet over pasta and toss to combine. Sprinkle with extra chopped basil and serve with extra Parmesan. Cook pasta according to package directions. Drain; return to saucepan. Keep warm. Meanwhile, melt butter in 12-inch nonstick skillet over medium-high heat until sizzling. Add garlic; cook 30 seconds or until softened. Add tomatoes and basil; continue cooking, stirring occasionally, until heated through (1 to 2 minutes). Add pasta and Parmesan cheese, stir until combined. Serve immediately. Heat oven to 425°F. 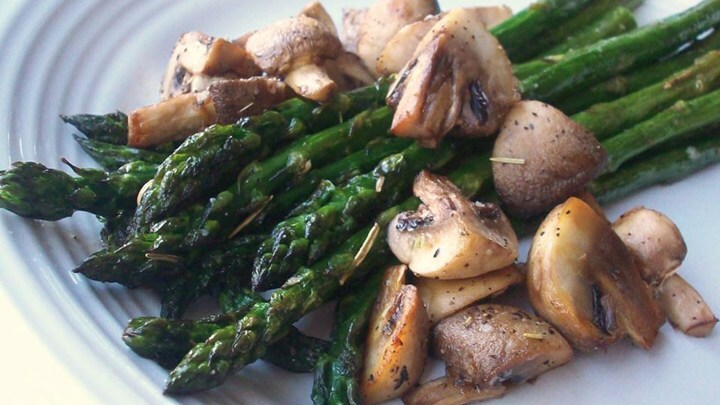 Arrange asparagus, mushrooms and onions on aluminum foil-lined 15 x 10 x 1-inch baking pan. Sprinkle with garlic, salt and pepper. Drizzle melted butter and lemon juice over top. Bake 15 to 20 minutes until asparagus are tender and lightly browned. 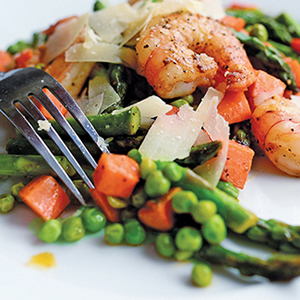 Spring Stir-Fry made with Lake O Lakes Salted Butter, garlic, shrimp, carrots, asparagus, frozen peas, parsley and Parmesan. Heat 2 tablespoons butter in large skillet over medium heat. Add minced garlic and stir to cook for 1 minute. Add shrimp and cook for 3 minutes, or until opaque. Remove shrimp and garlic to a plate. Do not clean skillet. Add rest of the butter and melt. Add carrots and asparagus in a single layer and cook, stirring occasionally, for 2 to 3 minutes or until tender but still slightly crisp. Scoot carrots and asparagus to edges of pan, then add peas to middle of pan. Cook for one to two minutes, stirring gently, until peas are heated through and tender. Add shrimp back to pan, stir to toss, then add salt and pepper. 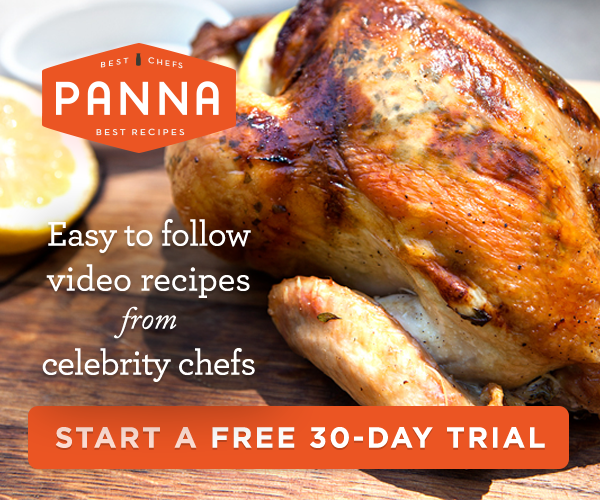 Squeeze juice of one lemon all over contents of pan and cook for an additional 30 seconds. Remove from heat. Sprinkle parsley over top. Serve stir fry immediately over cooked rice, or on its own. Top with Parmesan shavings and squeeze on extra lemon juice if needed.